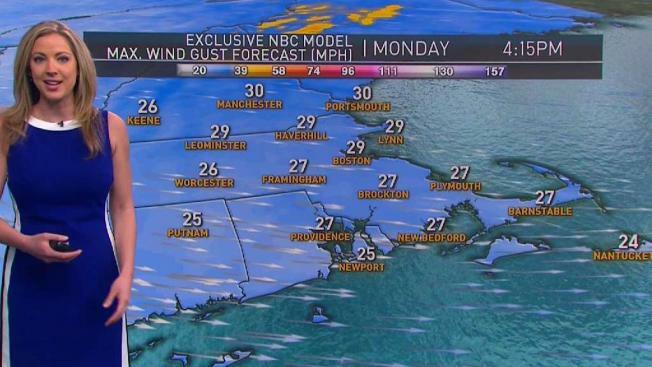 Monday: Sunny and windy. Highs in the 40s. Monday night: Mostly clear and chilly. Lows in the 20s and 30s. Tuesday: Sun, then more clouds late. Highs around 50. Monday and Tuesday will be colder than the weekend since high pressure will build in and skies will be sunny. By Tuesday, temperatures begin to moderate. However, it will stay in the 40s along the coast. Once that storm exits, the weather will remain unsettled through the end of the week and even into next Saturday. At this point, it doesn’t appear any of those days will be a washout, but garden variety showers will be possible. Sunday looks like the pick of next weekend. Skies will be sunny and temperatures will reach the mid-60s. The following week does look much warmer again. It’s too early to discuss specifics, but 70 degrees warmth could be possible. Stay tuned!